Let’s give credit where it’s due, Gionee and Asus both have played fairly well against the likes of dominating giants in their home-markets. The two phone makers, with their exciting product range, have managed to lure buyers and are growing big at home. But in the Indian market, there’s are no real signs of progress against players like OnePlus, Lenovo, and Motorola! So the question is, which company will pull this off eventually? Asus and Gionee, both are pretty impressive and are doing everything in their power to deliver an ideal package for budget buyers. 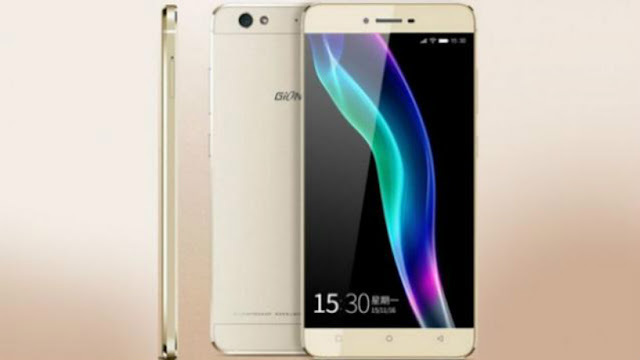 Gionee, not long before, unleashed a new entrant Elife S6 with a sleek metal body, while Asus is still on a roll with its impressively efficient and reliable, ZenFone 2. The two phones offer a tempting package with impressive specs, but their pricing tells a different story. If you’re looking to pick the better one, here’s what that matters! Design marks a clear line of difference between Gionee S6 and ZenFone 2. The stunning beauty from Gionee sports a sassy metal unibody with shining edges and thin bezels, while ZenFone incorporates a LG-inspired curved plastic back with volume rockers. The two phones look fairly impressive, but head to head, Gionee S6 is the clear winner. Its sleek profile makes a great first impression, and allows the user to carry and use the phone easily. On the other side, Asus looks pretty decent, but holding and using it with one hand looks like a major issue to deal with! Compare to Gionee S6 measuring and weighing at 6.9mm and 147 grams, ZenFone 2 tips on the scale at 10.9mm and 170 grams! As for visual experience, Asus looks much better with its super powerful full-HD IPS display. The dual-SIM based device incorporates a 5.5-inch panel, which offers a great viewing experience, with fine details, perfect viewing angles, and rich colour output. It looks really vibrant and comes keeps scratches and damages at bay with Gorilla Glass 3 on the top. On the other end, it’s pretty disappointing from Gionee that S6, a 20k phone, incorporates a 5.5-inch display with an entry-level screen resolution 720 x 1280 pixels. Though it’s an AMOLED panel with deep blacks and inky colours, lack of pixel density is something that makes a very big difference. Despite holding different innards, Asus ZenFone 2 and Gionee S6, both handle day-to-day functions and heavy requirements with subtle perfection. The powerful handset from Asus marked the first big change in the mid-range segment with 4GB RAM and a quad-core Intel Atom Z3580 processor running at 2.3GHz. It’s a year-old phone now, but the level of performance while gaming and multi-tasking is just perfect. Gionee S6, on the other hands, is fairly new in the game, and has been equipped with an Octa-core MediaTek MT6753 processor running at 1.3GHz. The dual-SIM based handset stands out in the category and incorporates 3GB RAM and Mali-T720MP3 graphics for seamless gaming and multi-tasking without taking a toll on battery. On the software front, both phones feature their own custom skins based on Android 5.1 Lollipop. Gionee features AMIGO OS 3.1 out-of-the box, while ZenFone boasts the famous ZenUI with a bunch of customizations and colourful app icons. Our experience with the interface of both phones was pretty good. There were no lags at all, and app switching was as smooth as silk. However, heavy amount of bloatware on ZenFone 2 was something which we didn’t like at all. It consumes almost 25% of available inbuilt storage space. With a 13-megapixel rear and 5-megapixel front-facing snapper, ZenFone 2 and Gionee S6 offer an ideal package for capturing sharp and picture-perfect images. They both go neck and neck in all aspects, and deliver colour-rich images with touch-focus, HDR, f/2.0 aperture and a bunch of mind-boggling features. In fact, it is also important to note that throughout our testing phase, we didn’t notice any shutter lag or focus delays while capturing images or recording 1080p videos from both phones. They worked seamlessly, and captured perfect snaps from both ends, rear as well as front. As for connectivity, it is very important to note that Gionee S6 packs benefits of high-speed downloads and fast-charging with 4G VoLTE and USB Type-C 1.0 reversible connector. Apart from this, everything (dual SIM connectivity, Wi-Fi, Bluetooth, A-GPS, and 3G HSPA+) between the two phones remains same. Even in terms of power efficiency, there’s hardly any difference between the two phones. ZenFone 2 accommodates a 3000 mAh powerhouse, while Gionee S6 houses a slightly bigger 3150 mAh battery. They both go head to head, and offer enormous amount of juice for seamless work and play. In fact, no matter which one you pick, we can assure you, they both will hold more than enough power to keep things up and running every after an entire day of heavy usage. In India, Gionee Elife S6 is hitting the shelves exclusively via Flipkart.com at Rs. 19,999. 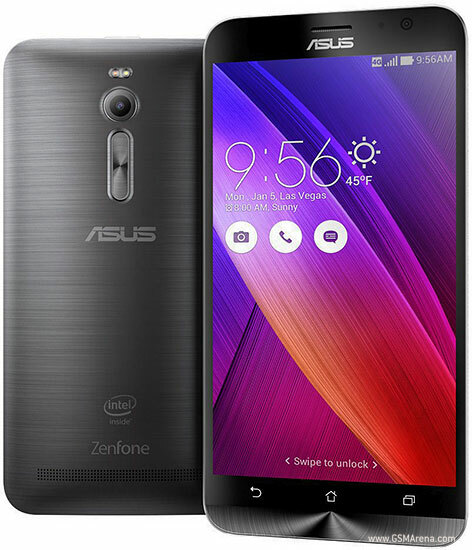 The phone can be bundled with occasional offers, discounts, and cashbacks but it cannot take a direct dig against ZenFone 2, which ships at a slightly lower Rs. 18,999 via Flipkart, Amazon India, and Snapdeal. Both phones are exclusive to online availability only. The face-off between Asus and Gionee was close and exciting, but in our opinion, the power-packed handset from Taiwan has a slight edge over the Chinese beauty. Despite featuring a plastic body, ZenFone packs a strong punch with it’s under the hood, elements, sharp, display and terrific battery life. It easily outperforms a decent Gionee, which offers nothing more than a sleek and crafty body with shining edges and metal all around. In a nutshell, Asus is still our favourite against the new metal beauty, Elife S6 from Gionee! At Gmail Customer Support Phone Number, users do not need to worry about the cost that they have to pay about the assistance that is offered to them. Our technical assistance is a free service provided at Gmail tech support toll free number. You will be offered the services that are quite beneficiary for all email issues. There is no doubt to say that technical bugs cause heavy losses and hinder the official environment. In order to remove all the glitches related to Gmail, it will be a good decision if you connect with Gmail customer support team. The best spy software for android! Check it out now!